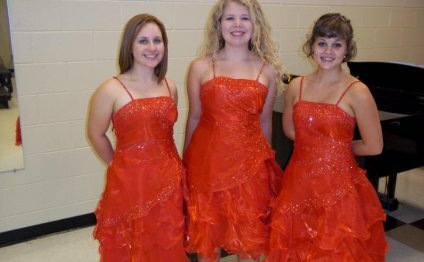 I sing in the SAS-sponsored VocalMotion show choir. It's like an adult version of Glee, except we have more pregnancies and fewer slushie attacks. For many musical numbers, the choreographer arranges the 20 performers on stage in an orderly manner, such as four rows of five singers. But every once in a while the director wants to create a disorganized look for a portion of a song (for example, a free-form '60's segment). She tells the performers to "go to random positions." The choir always has problems achieving the look that the director wants. We end up in positions that are equally spaced from one another, but to the audience it often looks like we tried to arrange ourselves in rows, but failed miserably! Since I know what a random point pattern looks like, I try to help. I whisper "clump more" and "vary the sizes of the gaps between performers." I tell my fellow performers, "random uniform does not imply uniformly spaced, " but mostly they just ignore me or roll their eyes. This year I took it upon myself to solve the problem, and I discovered that it led to some interesting statistics. My first attempt to help the director was to generate many examples of random point patterns. Our stage is approximated by the rectangle S = [0, 2] x [0, 1]. It is easy to generate 20 points that are uniformly distributed in S. My idea was that the director would have 10–12 of these patterns. When she wants a random configuration, she can hold up a pattern and say, "go to this configuration." I sent the director the patterns on the adjacent image. I was quite proud of myself. But guess what? Large areas of the stage are devoid of performers, which I translate to mean "the point patterns have too many gaps." Some of the performers are too close to one another, which I translate to mean "the point patterns have too many clusters." From her comments, I conclude that I have been wrong all these years. She does not actually want the performers in random uniform positions on stage! The characteristics that she mentions are intrinsic to random uniform point patterns, so if she doesn't want those characteristics, she doesn't want uniform random.